This year, I tried to think up an interesting birthday list. Yes, I needed new jeans and sweaters for work, but I also asked for some things that I just wouldn’t buy for myself. Like this! 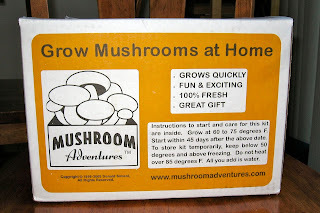 That’s a real, honest to goodness mushroom growing kit. 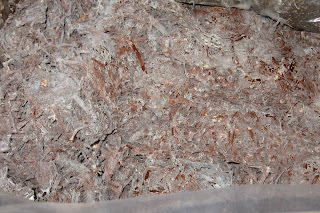 It comes from the factory already inoculated with the mycelium. 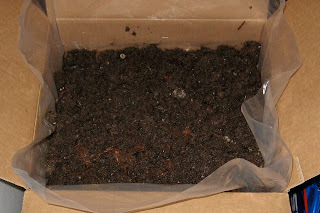 This is what the compost looks like when you open the box. 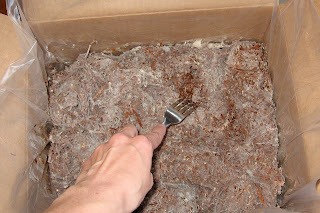 First, use a fork to loosen the surface of the compost. 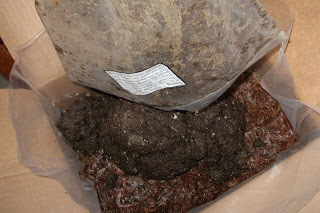 There’s a separate bag that contains peat moss with calcium carbonate. This is called casing, and goes over the compost to protect it. 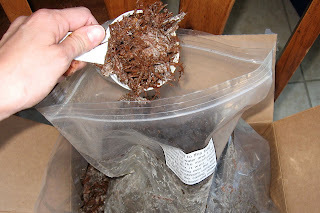 Mix a little water and some of the compost into the casing and then pour it over the compost. 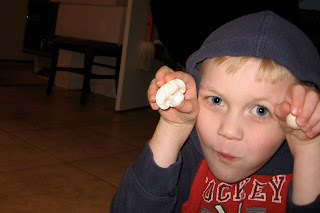 Then you smooth it out and wait! It has to stay out of direct sunlight (mine is in a corner of the kitchen). After about a week and a half, eensy tiny mushrooms start to grow. Every other day, you spritz it with water until the mushrooms start to form–then you spritz every day. Here’s the first crop. I’ve been absolutely thrilled with them so far. 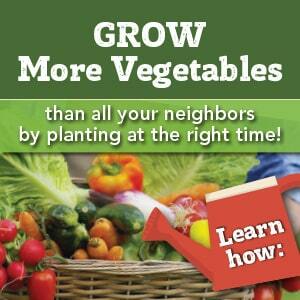 It should produce two big crops like this, and then a few smaller crops (about 12 weeks’ worth). Since you’re doing the harvesting, there’s no more bruised, dirty, or slimy mushrooms. All the caps are closed and they’re soooo delicious. Just watch out for the mushroom bandit! It looks like you are growing white buttons. I would like to try crimini/portabello, YUM. 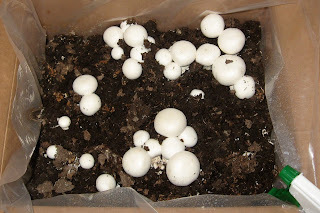 Okay, I am going to try growing mushrooms.